This past week’s Inspire Me Monday party had so many amazing projects linked up. I couldn’t decide on a specific theme but I wanted to share and recommend for your weekend reading a few of my favorites! Do you look at pictures in the magazines or on a blog and ask yourself, “Why can’t my shelves look like that?” Well they can! Michelle from Dandelion Patina gives a wonderful and easy to understand step-by-step tutorial on How to Style Shelves like a Professional! 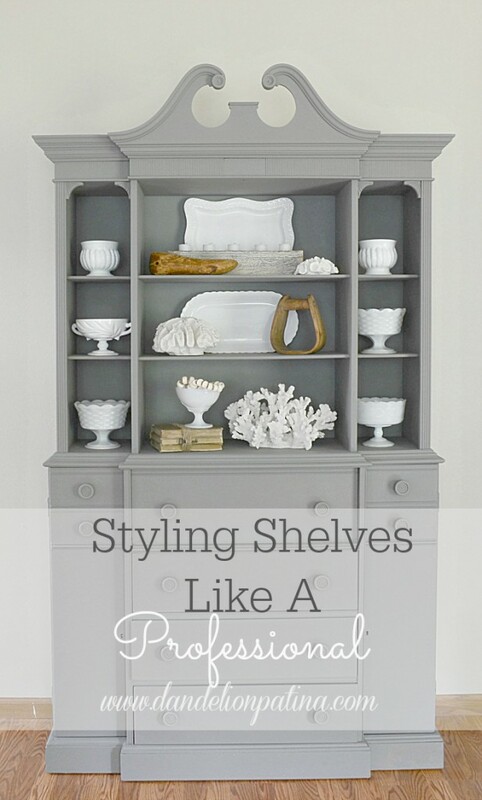 Read her tips and tricks and your shelves will be looking just as beautiful in no time! (PS- I’m in love with this paint color and those gorgeous pieces of coral!). Ella Claire is featuring a beautiful Seashell Specimen Printable for FREE! The lovely Ellie from My Someday in May created the 16×20″. I’ve downloaded my copy and I can’t wait to print it out and frame it for my home. Go get your copy! 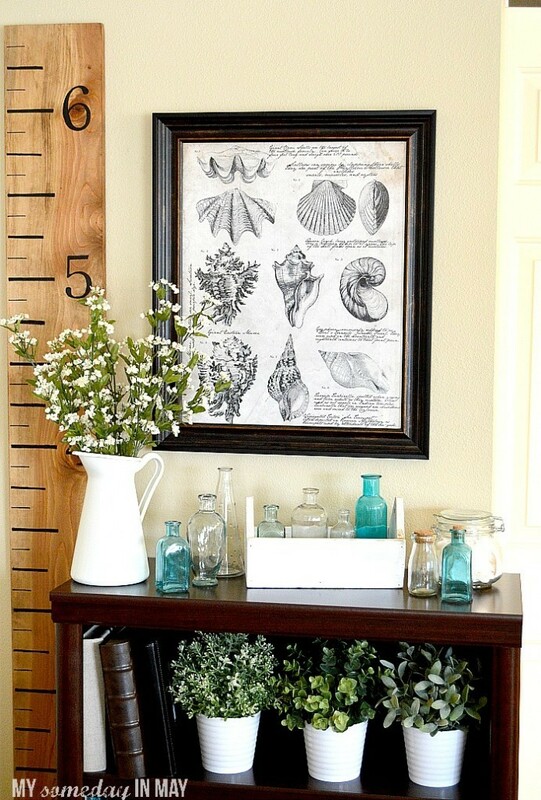 Simple and quick coastal decor crafts are my favorites, especially crafts that renew and reuse household items. 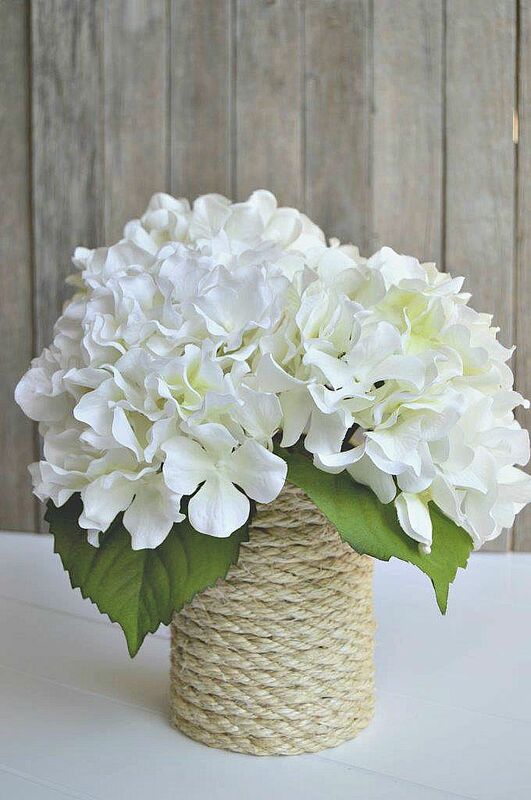 Home Remedies Rx delivers an easy and pretty Coastal Sisal Rope Vase. Click the link to see what she is reused to make the flower vase! We all love a great “before and after room reveal” right? Then you will want to see this cheerful yellow, gray and aqua Master Bedroom Makeover by Fynes Designs. My mouth dropped open when I realized what this gorgeous bench was made from. Can you guess? It was a dresser! 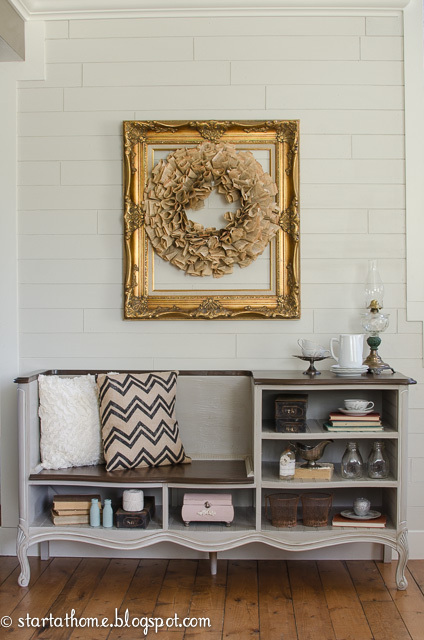 Hop on over to Start at Home to see how she transformed a French Dresser into a Bench. Now that is a conversation piece! 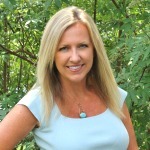 I hope you enjoy discovering these amazing projects and the very talented bloggers behind them! Thank you so much for featuring my blog post on Styling Shelves Like A Pro. I really appreciate all your kind words and compliments on the post. I am so honored. Have a great week!